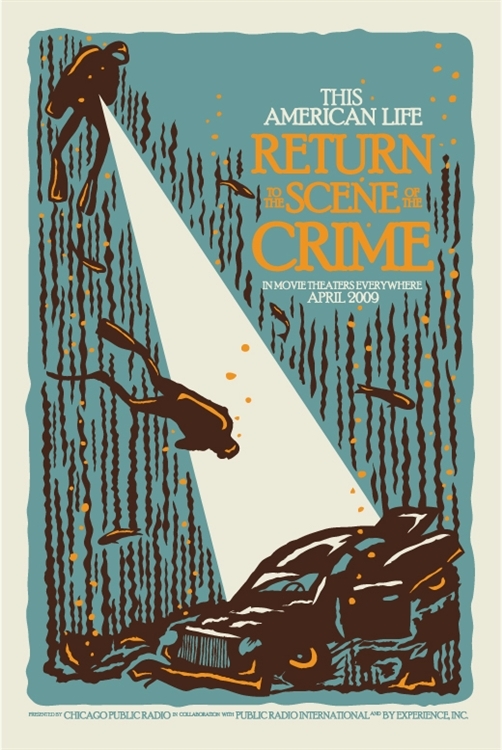 Full color, fully awesome poster designed by Travis Bone for our Spring 2009 live event and radio show, "Return To The Scene Of The Crime." 3' tall x 2' wide. (Check out pictures of Travis hand-screening the limited edition posters here.) To prevent damage, posters ship in a tube, separate from other items. Orders that include a poster and other item/s will incur two separate shipping charges.